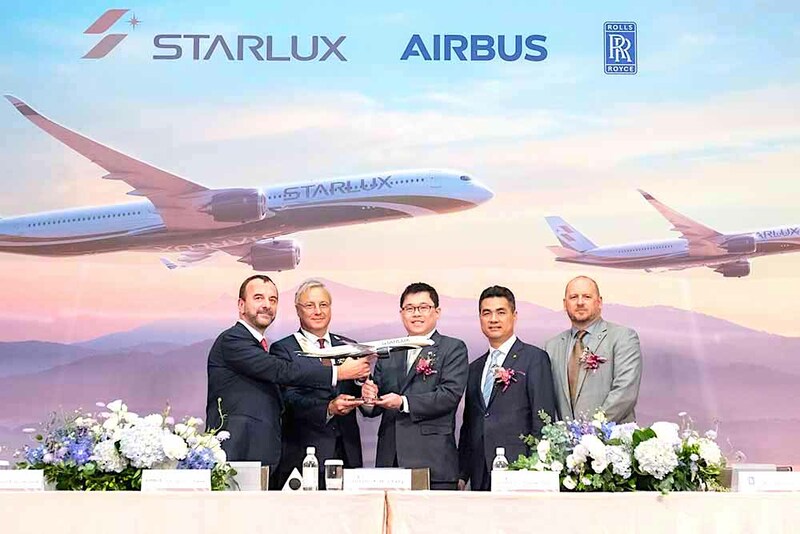 Nascent Taiwanese carrier, STARLUX Airlines has signed a firm order with Airbus for 17 widebody aircraft, comprising 12 A350-1000s and five A350-900s. An MoU was signed for the aircraft in July 2018. “We are very glad to sign the official purchase agreement today for Airbus widebodies,” says K.W. Chang, founder and chairman of STARLUX Airlines. 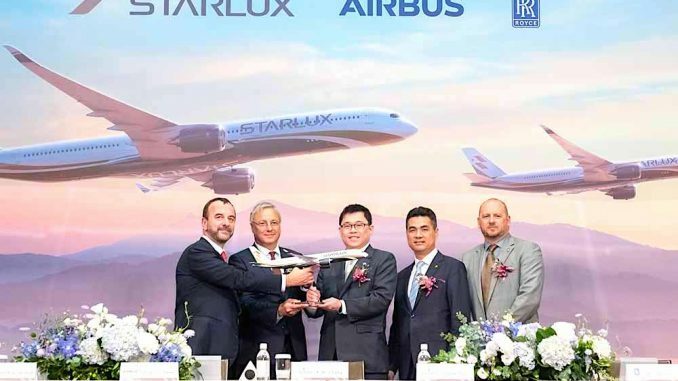 STARLUX Airlines is a new full-service airline based out of Taiwan Taoyuan International Airport and founded by Taiwanese aviation veteran Chang Kuo-wei, former chairman of EVA Air. Chang was ousted from the airline shortly after the death of his father, the founder of Evergreen Group, in 2016. Asked by reporters during the airline’s launch in May 2018, whether the new airline amounted to “the revenge of the prince,” Chang said he was not a prince, but a “king”. He added that he would not rule out cooperation with other Taiwanese airlines, cable station TVBS reported. STARLUX is set to launch regional operations in early 2020, followed by long haul services early in 2022.